Move over, Portland. We have scientifically proven that Vancouver, Washington is the most hipster city in the United States, beating out the likes of Cincinnati, Ohio and—would you believe it—Salt Lake City, Utah. In our groundbreaking new study, hipster fashion, diet, and vanity were all taken into account as the 150 most populous American cities had their credentials tested. No editorialising here; just data. Pure, bohemian data. Here’s the lowdown on top hipster cities in the US. Before going on, we should be clear on what hipsters are and how they guided the study. There’s no one prevailing definition, but common qualities are easy enough to spot. In brief, hipsters are a subculture of 20- to 30-somethings who position themselves as non-mainstream pioneers; free-thinkers and non-conformist conformists. We’ve offered our own 2-cents before, and odds are you’ve seen some in the wild yourself. From the inside this looks like independent thought, progressive politics, sustainable food, thrift store bargains, delicious local beer, and groups of ardent individuals looking exactly like each other. From the outside peering in it tends to resemble gentrification, sickly vegan dishes, and groups of ardent individuals looking exactly like each other. They’ve inspired television series and riots alike, and aren’t going away anytime soon. So, we may as well keep tabs on where to find/avoid our niche kin. The US Hipster Index draws from five data points. The first four are the number of microbreweries, thrift stores, vegan restaurants, and tattoo studios per 100,000 city residents, while the fifth scales rent inflation in the last year. Together these five metrics have been weighted and allowed us to calculate a US Hipster Index score out of ten, with some surprising results. While many popular conceptions of hipsterdom hold true, plenty don’t. In an unremarkable twist, the Northwestern United States dominates the index, with four of the top ten cities located in that region of the country. However, the top dog amongst them is not who you might expect. Although Portland, Oregon tends to enjoy/suffer the strongest hipster connections in pop culture (and with good reason), it’s been comfortably beaten by northern neighbour Vancouver, Washington, which tops the index with a score of 8.230. Its spread of microbreweries, thrift stores, vegan restaurants, tattoo parlours, and, of course, gentrification is unparalleled. Portland, with 6.575, sits at a respectable 12th. Although the city’s vegan credentials are peerless, with nearly 17 vegan restaurants/shops per 100,000 people, and its microbrewery game is excellent, it falls well short on thrift stores. Not that Portland’s performance is anything to sniff at. Only 19 of the 150 cities studied scored higher than a six, two of them being Vancouver and Portland. Given that they are only ten miles apart, it’s safe to say together they comprise the current US hipster Mecca (or Mezca, if you like). There’s no competition between states though. Washington has three cities in the top ten—Vancouver, Tacoma (6.942), and Spokane (6.908). No other state has more than one representative. On the other end of the scale, the least hipster city is Brownsville, Texas (1.241). If you want to be really alternative, now you know where to go. A surprise package was Salt Lake City, Utah, which is proving to be one of the up and coming hipster cities in the US. Its score of 7.145 edged it ahead of rivals Cincinnati (7.061) and Boise, Idaho (7.043) in a result that defies some popular hipster stereotypes. Salt Lake City has grown in recent years into one of the most popular places for LGBT Americans to live, and it seems the open, liberal leanings this suggests is translating into some serious hipster cred. It has an enviable spread of micro breweries, and with a handful of extra thrift stores and tattoo studios it would be knocking on Vancouver’s door for top spot. We’re the first to prove it with hard data, but Salt Lake City’s hipster development has not gone wholly unnoticed. Writing for The Boston Globe earlier this year, Christopher Muthers writes, “polygamy aside, it feels like Salt Lake City is a destination waiting to happen.” Indeed. Watch this space. A notable outcome of the study is that America’s largest cities simply can’t compete. Los Angeles (2.713) sits at 133rd on the US Hipster Index, while New York (1.867) wallows/celebrates at 143rd. Even San Francisco (4.589) is only 61st. Its seems that larger cities have their hipsterness diluted by their size. Similarly, rent in these cities is already exorbitantly high. Gentrification falls to the ‘discovered’ smaller or revitalised destinations. Given Detroit’s supposed renaissance, it’s unsurprising to see it come second in rent inflation over the last twelve months, clocking in a hefty 15.37% increase. One to keep an eye on. Smaller populations lend themselves to hipsterness. Not a single city in the top 10 had a population above 500,000. In other words, big cities literally aren’t niche enough to be true hipster havens. Rightly renowned for hipster neighbourhoods, they certainly don’t fit the bill as a whole. Of the cities with a population above 1 million, San Diego performs best with a score of 4.757, 46th in the index. Even if you find the hipster framing frivolous, it’s interesting to see what cities are leading the way on different trends, or which can hold their own across all of them. Denver, Colorado sits at 25th overall with 5.747, but it’s top of the pile where micro breweries are concerned. The city has nearly nine micro breweries per 100,000 people—the best rate in the country. Meanwhile, Augusta, Georgia (4.273) leads the way on tattoos, with over seven studios per 100,000 people. 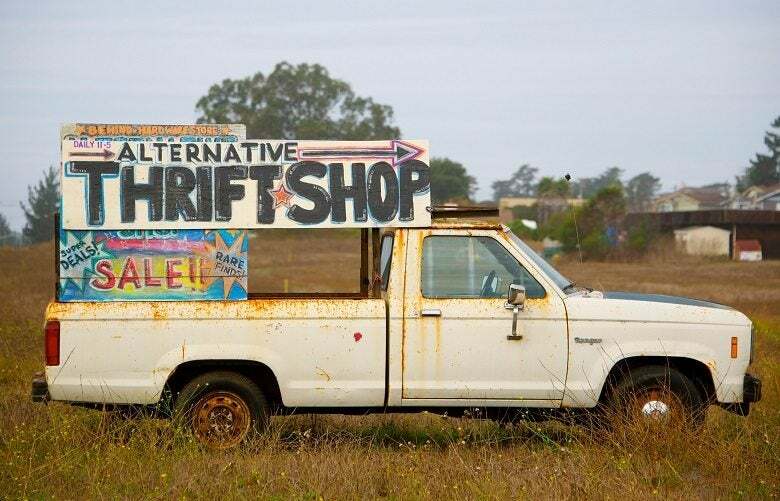 Are thrift stores important to you? Then look no further than Richmond, Virginia (7.040), which boasts nearly 14 thrift stores per 100,000 people. There’s also a discernable trend of hipster state capitals; cities that serve as congregation points for their state’s hipster population. Aside from Washington, the top performers are very evenly spread across the country. Grand Rapids (6.708) carries the torch for Michigan, and Boise, Idaho (7.043) rides high as the 4th most hipster city in the country. Meanwhile, California’s most hipster city is not San Francisco or Sacramento, but Santa Rosa (6.312). It bears mentioning that no city has a monopoly on hipsterdom. Each data point had a different city come out on top. It’s no good steamrolling one hipster draw to rank high; the trick is performing well in all of them. Given that Vancouver is currently the only city to manage higher than an eight, it’s safe to say there’s room for improvement in the US hipster sphere. We’ll be keeping track all the way, fine-tuning the process as we go. Although our methods hold water, we’re willing to accept the possibility it’s not perfect. What crucial metrics have we missed? Let us know. Or if you would like some information specific to your city, get in touch.